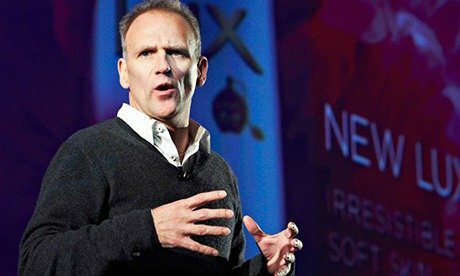 Another leader that makes a refreshing change is Tesco’s new CEO, Dave Lewis. Tesco has been in the news for all the wrong reasons lately. The supermarket giant’s share price has plummeted 50% in a year as falling sales, boardroom reshuffles, and increased competition from rival supermarkets such as Aldi and Lidl have unnerved investors. Their crisis management team must be in overdrive. All the more crucial then that the new boss makes a good impression. Dave Lewis took over after Philip Clarke was ousted in the summer. Lewis was a low profile executive from Unilever who had no retail experience (although he has been responsible for some of the biggest brands on Tesco’s shelves, like Dove, Lynx and Sure). He had the advantage of coming in as an outsider with a fresh pair of eyes. But, he is under huge pressure to show quick results. Media interviews right now are going to be tough. So, while he can’t control the questions, he can control the answers and ultimately how he communicates with customers and shareholders. So far so good. Take a look at this video on Tesco’s interim results. Of course this is a Tesco video so he has complete control over the questions and answers. Nevertheless, he used the opportunity for some straight talking. Here are some tips we give our clients for better Leadership Communications. Lewis acknowledges the sticky situation his firm is in and makes no apologies for it. On Tesco’s performance he said “we’ve got to be a bit disappointed”. There, he said it. Okay, it is a huge understatement considering Tesco’s dire results, but this is not a media interview – he is speaking directly to Tesco’s people. Honesty will help him build trust. Later when asked about the mood, again Lewis doesn’t gloss over things. Instead he highlights his team’s resilience and determination. When asked if he would have taken the job, had he known then what we all know now, quick as a flash he responded “Yes.” And it didn’t sound rehearsed. So, when he then says that he is not focused on the next 6 months, but the next 6 days, we believe him. His honestly makes the audience think he will do what he says he’ll do. This interview is directed at Tesco employees and shareholders. Had it been on CNBC or Sky News I would have expected more references to customers and specific changes that are being made in stores. But Lewis was not trying to be all things to all people. Tailoring his messaging to his audience of choice shows clarity. It is tempting to have everything scripted, especially when it comes to results time and there are numbers and strategies to get through – and especially for a newcomer, adapting to the culture whilst learning the ropes. (“Don’t forget, it has only been 7 weeks!” Lewis reminds us good-naturedly). While this is fine to announce a new initiative to explain some really complicated data, using an auto cue to communicate to staff and customers can feel disconnected and impersonal. Here the interviewer is also a Tesco employee. This makes the whole conversation seem relaxed and intimate, even through the content is need-to-know, meatier stuff. This casual style is a winner because it makes the CEO seem approachable, a listener, a leader willing to engage in dialogue. There was plenty of corporate messaging in this interview, like when he whips through his three priorities, but had he been reading off a teleprompter, his warmth would have been lost. “You’ll be the first to know” Lewis said, when asked about what changes would happen next. He admitted that he hadn’t even visited as many stores as he would have liked or any businesses outside the UK. If he had done, perhaps he could have given us an anecdote. I would have liked to hear more story-telling which would have been memorable and also made the audience really believe he was interested in them. When Lewis was asked about the Christmas shopping period coming up, he missed a trick: it would have been the ideal moment to mention how changes in-store will help or wow shoppers. Don’t forget examples and evidence to bring the conversation to life. Lewis does speak retail – he talks about “positive market beating performance” and the need to “rethink and re-energise the customer agenda”. He would be an even more effective communicator if he speaks the kind of language his customers will understand. So we don’t want to hear about “footfall” or “markets” or the consumer audience”. Just say shoppers. Or Tesco shoppers! Use the sort of lingo that you would hear down the pub or at the school gates. These small changes can transform a good talker into a great communicator. That’s why leaders spend so much time preparing and polishing their Leadership Communications.